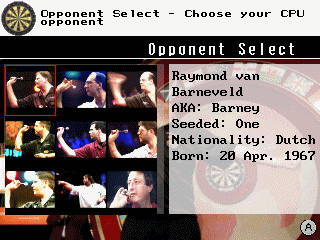 Darts was my first officially released GP32 game. It started off as a small project that was very basic but due to player feedback I continued and improved the game. It now features 16bit Graphics, Music, SFX, Speech, Single/Two Player/CPU games and loads more. 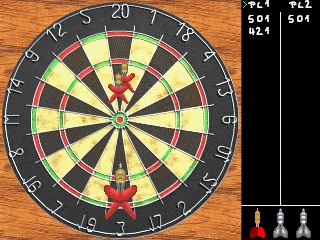 wildcat - Best darts game ever. Mark - GpDarts is an amazing game. When you first load it up (with it's own wind-up's icon) you can see how professionally put together it is. Photograph flick in the background, and some incredibily funky music plays. The game's presentation is flawless, with great graphics and some excellent commentary. There are no bugs that I have noticed in this version, and will stay on my SMC for a long time. It's better than alot of commercial games for the GP. 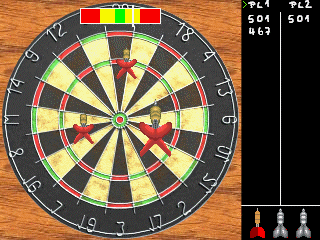 The only thing really lacking is a tournament mode, or speed darts/round the world. A online ranking would be the icing on the cake. 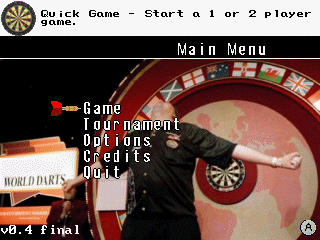 I still get alot of emails a few years after its release asking if Darts is going to be ported to other handhelds such as the GP2X. Unfortunately the answer is no as it would involve too much work. At a push I would do a brand new rewritten from scratch GP2X and maybe a PC version but it would probably be a commercial game.